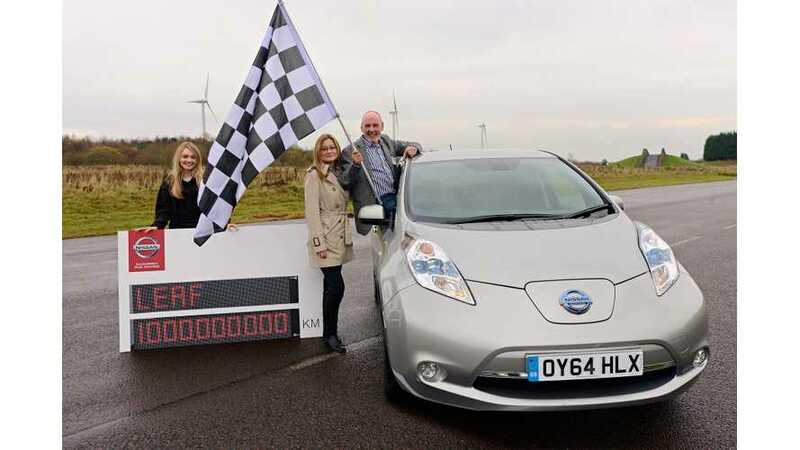 One of the first Nissan LEAF owners, Kevin Slowther, drove the final kilometer with his wife Joanne and daughter Hollie at the Nissan Motor Manufacturing plant in Sunderland, where the world's best-selling electric car is made. Nissan crossed the mark of 1 billion (09-30-2014) cumulative LEAF kilometers driven worldwide and, besides announcing that, would like to say thank you to each and every LEAF owner around the globe. 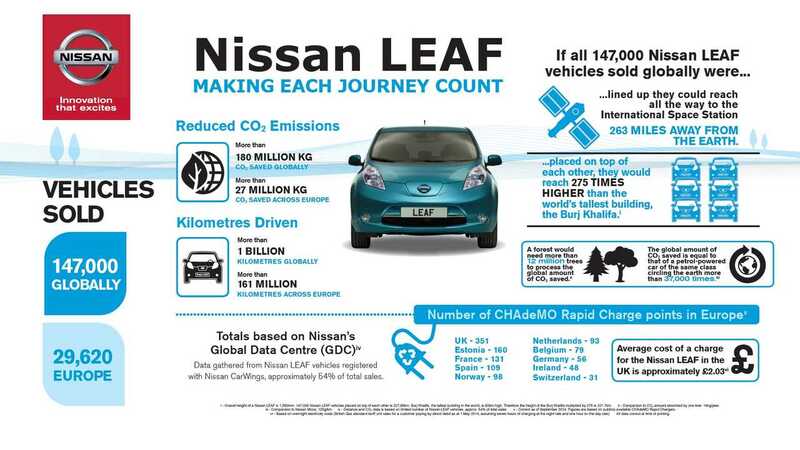 Data on mileage is gathered on Nissan's Global Data Center via the CarWings, however Nissan claims that only 54% of drivers are registered for data collection, so we probably should assume that the real value for all 147,000 LEAFs is closer to 2 billion kilometers driven. Anyway, that is a huge value reached in less than four years. "Nissan has revealed that owners of the LEAF, its 100% electric car, have collectively recorded an impressive one billion kilometres on the CarWings telematics system worldwide; saving over 180 million kilograms of CO₂ emissions* in the process. 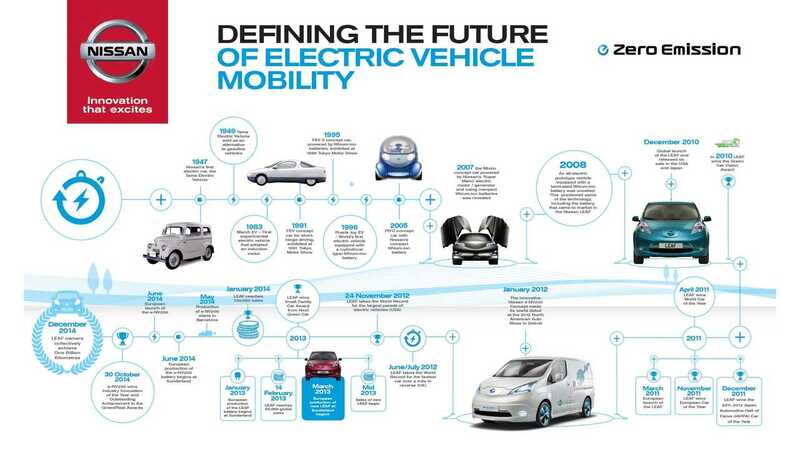 This incredible achievement comes almost four years since the LEAF was launched in 2010 as one of the first mass-market, pure-electric vehicles. It is now the best-selling electric vehicle in history, with over 147,000 LEAF vehicles sold globally to date, 31,000 of which have been sold in Europe. Thanks to the innovative CarWings telemetry used in the LEAF, Nissan has been able to keep an accurate log of the total distance covered by every LEAF registered with CarWings since the car's launch. Nissan has been recording the kilometres on an online counter and actively involving owners in the count with a series of celebratory videos." 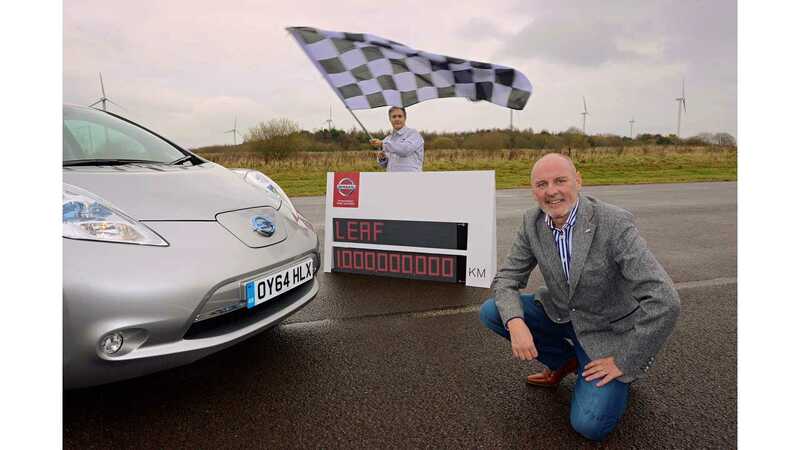 "Our aim was to see Nissan LEAF owners registered with our innovative CarWings system amass one billion kilometres by January 2015, and we are absolutely delighted to announce that we have achieved this landmark milestone earlier than anticipated. We would like to thank every single Nissan LEAF owner for helping us in reaching this world-first." "The Nissan LEAF was the first mass-market family electric vehicle ever built and the owner satisfaction scores are the best in the Nissan range. This huge distance landmark shows that many of our customers are rapidly clocking up kilometres as they enjoy the benefits of quiet, emission free driving." "When you pass one billion kilometres with an electric car on an epic, record-breaking journey, winning awards, breaking records and completing marathons on the way, you have to wonder: who made it possible? Then when you realise, there’s only one thing to say…"